동인지문사육(東人之文四六 )은 고려시대 문인이었던 최해(崔瀣,1287∼1340)가 편집한 책이다. 이 책은 신라와 고려시대의 문장을 모은 것으로 가장 오래된 서적에 속한다. 현재 고려대학교 도서관에 소장되어 있으며, 권 1∼6, 권 10∼15으로 총 12권 4책이다. 이 밖에 고려 김태현의 『동국지감(東國之監)』이 있었으나 현재 전해지지 않는다. 이 책 권 5의 마지막 간행물에 나타난 고려시대 역대 왕의 휘호인 건(健), 무(武), 운(運), 요(堯), 치(治) 등의 글자는 획을 빠뜨리거나 대신 다른 글자를 쓰고 있는데, 이는 고려본의 공통된 특징이다. Donginjimun sayuk (Anthology of Poems of Silla and Goryeo Literati) was edited by Choe Hae (1287-1340), a prominent literary figure and scholar during the Goryeo Dynasty. This collection of literary works, Jolgocheonbaek, includes Donginmun-seo (Introduction of Donginmun) and Donginsaryuk-seo (Introduction of Donginsaryuk). According to the Donginmunseo, Choe Hae compiled a collection of Korean poems and sorted poems, prose, and couplets composed of four-six under the titles of Ochil, Cheonbaek, and Saryuk, respectively. Donginsaryukseo describes the cherye (government officials’ etiquette) separately about Saryuk. 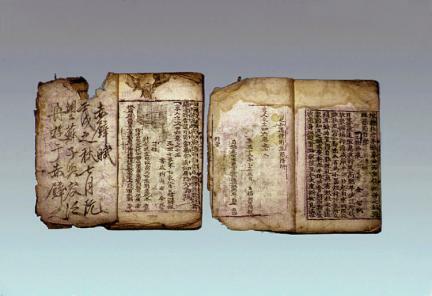 However, the extant copy of Donginjimun contains mainly Saryuk rather than Ochil and Cheonbaek. 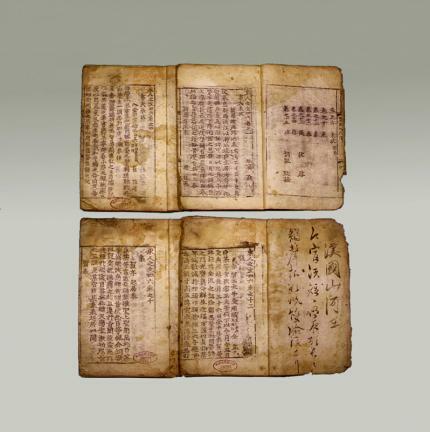 Donginjimun sayuk, one of the oldest anthologies of poems of Silla and Goryeo literati, consists of twelve volumes (Volumes 1-6 and 10-15) bound into four books, and is currently kept in the Korea University Library. In addition, Donggukjigam was written by Kim Tae-hyeon during the Goryeo Dynasty, although no copies have survived to the present day. As for the characters - such as geon(健), mu(武), un(運), yo(堯), and chi(治), which are substituted names used to represent successive kings of the Goryeo Dynasty due to the taboo on naming kings - contained in the last part of the volume 5, a number of characteristics common to the editions of the Goryeo period can be seen, such as the omission of strokes from certain characters or the use of different characters. This edition was engraved on woodblocks in the 4th year of the reign of King Gongmin (1355) of the Goryeo Dynasty. 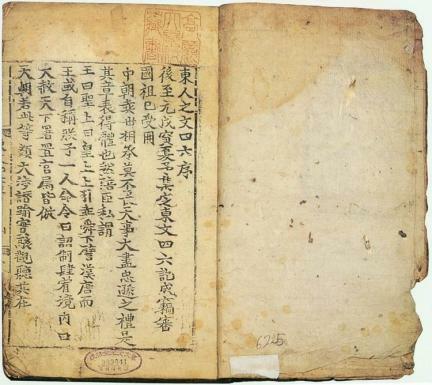 Experts assume that it was printed during the early Joseon Dynasty.